A research on scents in an area in Amsterdam-West led to the collection of odorous plants. These plants are smelling, stinking or they lost their scent. Exhaust fumes, the smell of dog poo and urine are highly concentrated in certain areas. But more exuberant, convincing and defining the area's atmosphere are the plants, the wild plants in particular. They make a place recognisable with their scent, handing out 'scent-stamps' to a street, and in that way are indispensable to feeling at home in a neighbourhood. 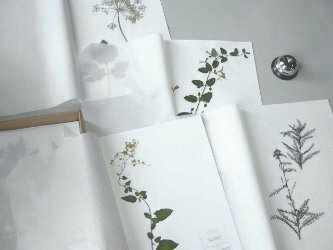 The herbarium contains detailled scent descriptions of plants in the area.